I’ve mentioned many businesses in the past on my blog. Some I do care about and some I don’t. Recently, the owner of an Etsy shop contacted me regarding their shop and I felt really special. They are two girls, Kate and Soo and they’re also my followers! 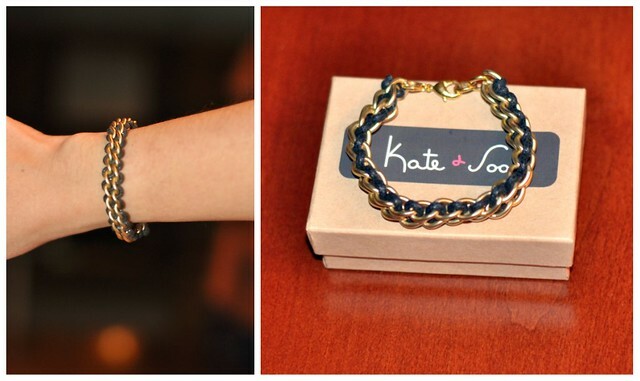 Kate and Soo just opened a jewelry shop on Etsy – a website that sells anything handmade. Their design ranges from fun and colorful to classic and feminine. The pieces are so easy to wear with everyday outfits. They also go fantastically with any work outfits. Each piece is designed and handmade by Kate & Soo with love, care and reasonably priced for girls on a budget. If you have small wrists, you already know it's hard to find bracelets that fit properly. They’ve asked me to pick out a few things from their shop to try on and incorporate into my daily outfits. A week later, those pieces arrived at my door. Both bracelets were custom made to fit my wrist. Customized sizes are available upon request at no additional charge. If you’re on a quest looking for a bracelet that fits your small wrist, take a moment to check out their shop. Disclaimer: I received these pieces courtesy of Kate and Soo. I will not be compensated for posting this review on my blog. Thanks for the giveaway. The tassel necklace looks very cute on you. My favourite piece is the black and gold bracelet. What a nice selection of casual jewelry at Kate & Soo! I especially like the Modern Friendship Bracelet in Ice green. Thank you for the giveaway! I actually like the first item you reviewed: the triple cute bracelet. By itself it looks plain, but layered with another does wonders! 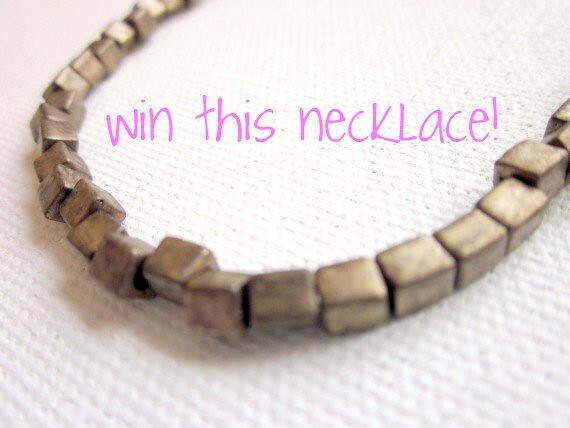 Nice giveaway, I love simple classic everyday jewelry and the selection at Kate & Soo is perfect. I especially liked the triple cute bracelets, will have to order some soon. That gold tassel necklace is so pretty! I love how delicate it is - you're right, it's perfect for petites. and the necklace and bracelet you're wearing are gorgeous too! Beautiful pieces! I love the Contemporary Round Beads Necklace. My favorite is the black meets gold. Love it! My fav is the triple cute bracelet...it can make an outfit pop! I love the "triple cute bracelet" with black beads — beautiful! Absolutely beautiful pieces. My favorite is the triple cute bracelet. The triple cute bracelet is my favorite! Loveeee the black meets gold piece! I like the contemporary round bead necklace. That bracelet black and gold is beautiful! So...I just started to grow an addiction to Etsy shopping.... Help me please!! i absolutely love the Bead Fringe Necklace...and the triple cute bracelet! Thanks for the giveaway! I actually like the gold tassel necklace and the triple cute bracelet. They are currently having a 10% off coupon with code KATEANDSOO10. Absolutely adore the black meets gold piece! I love the last picture where you have on the necklace, you are so pretty! In love with the gold tassel necklace! Love the bracelet! Thanks for the giveaway Sydney! Thanks for introducing Kate&Soo :). My favorite piece is the tassel necklace. It's perfect for fall! The Black meets gold bracelet is gorgeous! Love the triple cute bracelet that you started the review with:) Thanks for the give away!